Gorgeous and romantic, this personalised names chopping board is engraved in slate, and features two names of a couple. 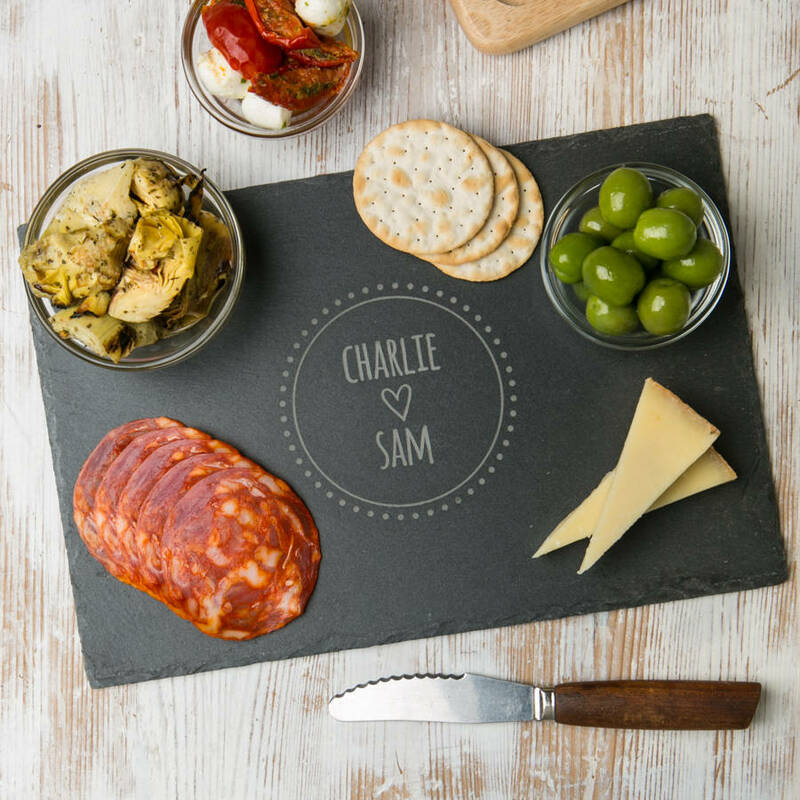 The design of this rectangluar board includes a circle, with two names and a heart inside, making for a rather lovely personalised cheese board. 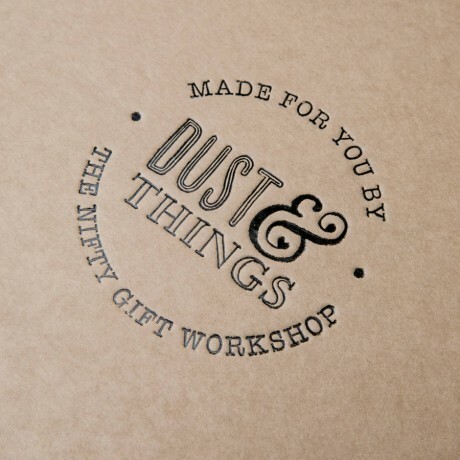 This is a great gift for newlyweds, or even as a centrepiece at their wedding itself! 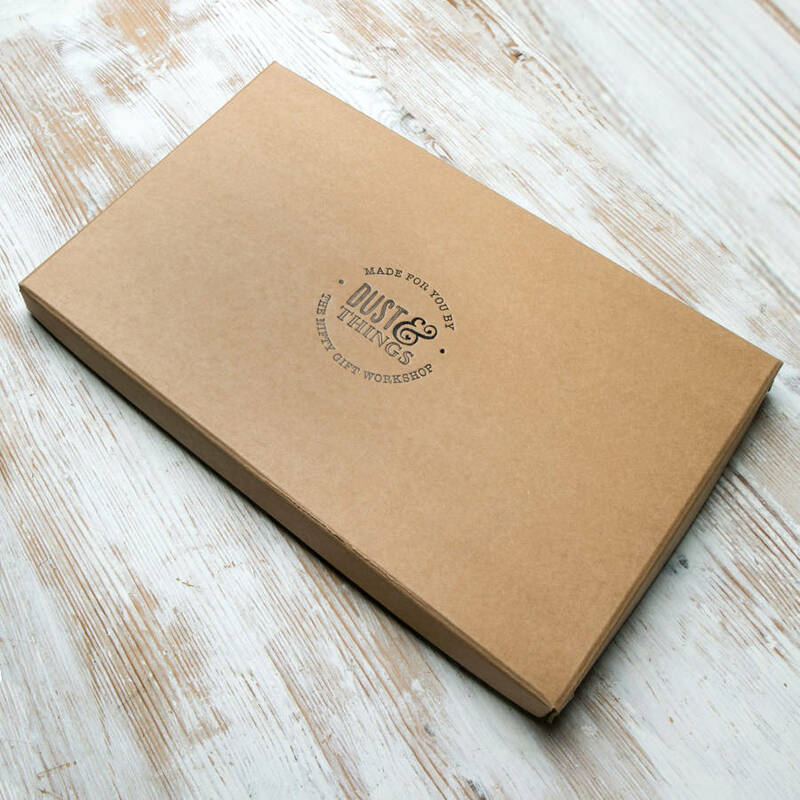 Or simply give it to your favourite cheese lovers or foodies as a Christmas, birthday or anniversary gift. The understated sophistication of these slate boards, which are resilient in the kitchen, are beautiful on the table. The surface of the cutting board will be deeply engraved with two names. We can also add a secret message to the back of the board, and a special gift box. 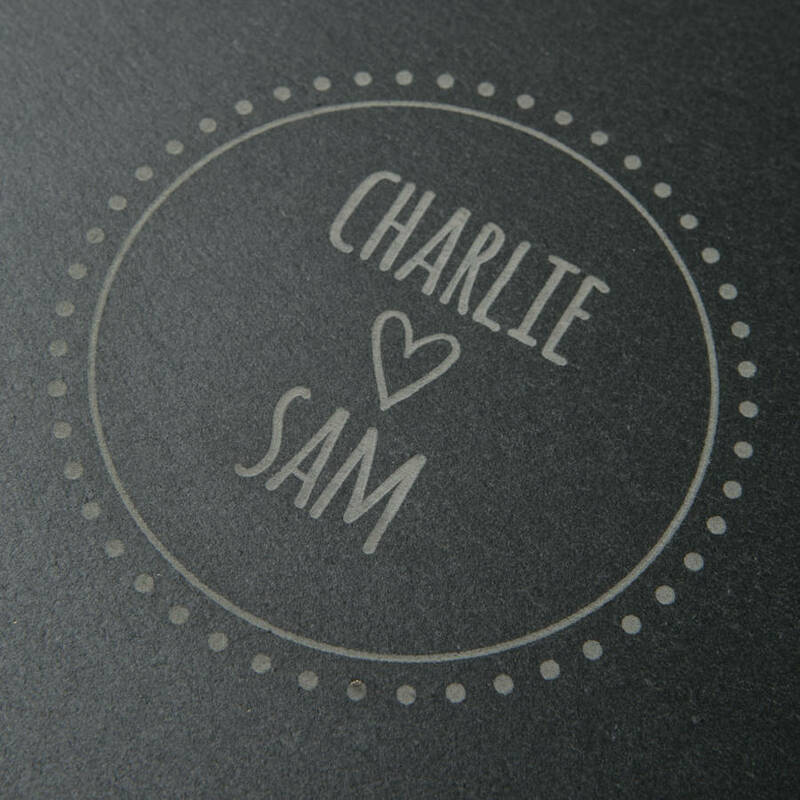 UPPER CASE & lower case lettering: Please get in touch with us if you have any enquiries related to uppercase and lowercase letters within your engraving, we want your gift to look exactly as you wish.